The author is a Vita Plus dairy specialist. Balancing micronutrients in rations is increasingly important as milk production intensifies and farms strive for efficient production. In the past, trace nutrient formulation was often overlooked and followed the “holiday pie theory” — if some is good, more is better. Overfeeding trace nutrients to cattle is costly, and the overfeeding of nutrients such as copper (Cu) can have negative health and performance effects on dairy cattle. 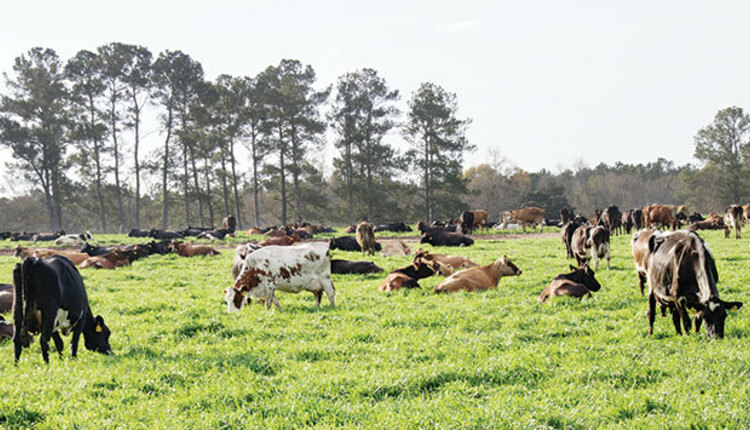 Trace nutrients such as Cu, zinc (Zn), and manganese (Mn), which are the primary focus of this article, bind to proteins in the intestine and are transported for functional use and/or storage in cattle. When these trace nutrients are fed in excess, the transport proteins become saturated and biologically the animal’s system down-regulates the need for the manufacturing of these transporters. Essentially, when excess is fed, the biological system senses the excess, reduces transport/absorption efficiencies, and the farmer pays extra to feed these nutrients only to haul them onto the field in the form of manure. Although overfeeding Zn and Mn may be financially costly, these nutrients do not bare the toxicity of Cu. Cattle store Cu in the liver. Biologically, this is advantageous when dietary Cu is lacking or additional Cu is needed for cellular function, for example, during an immune challenge. The animal can mobilize stored liver Cu for cellular use. However, when liver Cu stores are in extreme excess, the mobilization of liver Cu can be lethal. A case study published in the Canadian Veterinary Journal in 1993 observed nine late-lactation dry cow deaths, which they attributed to Cu toxicity. When the animals were posted, liver Cu concentrations ranged from 1,236 to 2,179 parts per million (ppm) on a dry matter (DM) basis. The case study noted for the past two years that dietary Cu concentrations fed to the lactating and dry cow herds were approximately 38 and 23 ppm, respectively. It is important to note that these dietary concentrations are below those published as the maximum tolerable dietary level (40 ppm) by the Nutritional Research Council (NRC) and that toxicity occurs when concentrations are fed in excess for months and years, not days or weeks. All that said, underfeeding these trace nutrients can be just as costly and dangerous. Cu, Zn, and Mn play a vital role in cellular function and animal survival. These nutrients are co-factors to hundreds — if not thousands — of proteins, are required for energy metabolism, and are vital nutrients for growth, reproduction, and production. 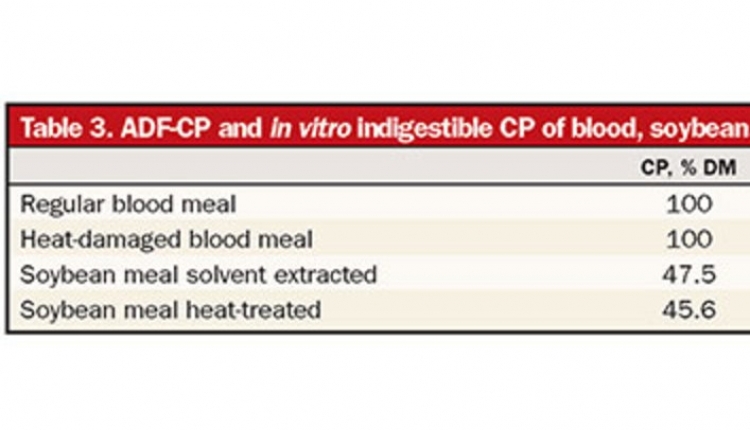 To complicate matters more, no absolute methods have been established to determine biological status of these nutrients beyond evaluating liver Cu concentrations. Furthermore, antagonists, such as sulfur and iron, are ever-present on farms, which can decrease absorption of these trace nutrients in cattle. 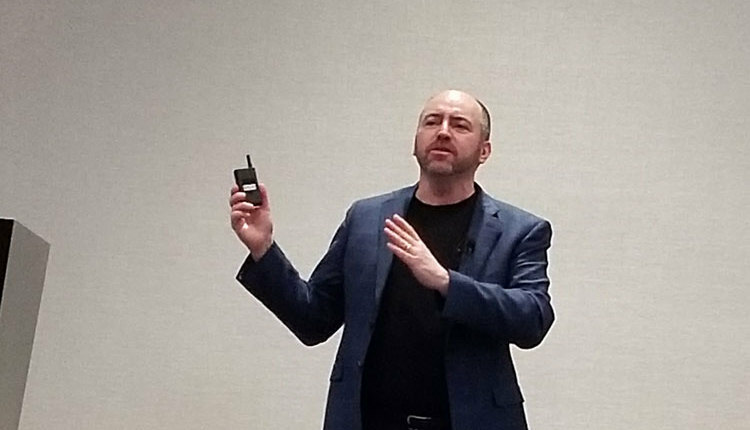 For these reasons, feeding some excess is warranted, but consideration must be given to the costs associated with excess not only from the out-of-pocket standpoint, but also animal health and production. According to the NRC (2001), approximately 5, 20, or 1 percent of the Cu, Zn, and Mn fed from sulfate minerals are absorbed, respectively. Specialty or organic forms of these minerals are typically more stable in the rumen compared to sulfates and are less likely to interact with nutrients that can hinder absorption. 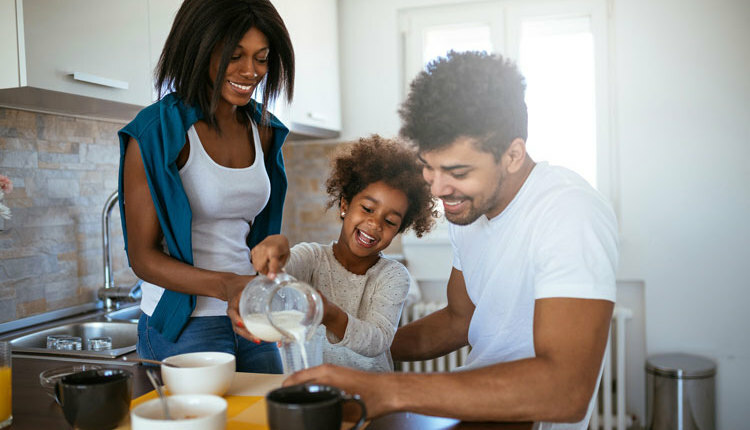 Researchers from The Ohio State University observed that lactating dairy cows fed supplemental Cu, Zn, and Mn from hydroxy sources had better fiber digestion compared to those animals fed Cu, Zn, and Mn from sulfate sources at similar concentrations. In addition, researchers observed that fiber source (forage-based versus by-product based) affected Cu absorption, depending on the source of supplemental Cu fed (hydroxy versus sulfates). Hydroxy Cu apparent absorption was greater when lactating cows were fed forage-based diets compared to Cu sulfate, but apparent absorption of hydroxy Cu was less when high by-product-based diets were fed. In another research study, Penn State researchers observed that dairy heifers fed supplemental organic minerals had higher volatile fatty acid production compared to those fed sulfate minerals. The primary mechanisms for these observations are not fully understood. Rumen microorganisms do have a requirement for trace nutrients, but excess trace mineral supplementation has been shown to be lethal to some rumen microorganisms. So, whether the specialty or organic minerals are more stable in the rumen and less toxic to rumen microorganisms, or more efficiently utilized by the rumen bugs, it can be concluded that the source of the mineral fed does have an effect on the rumen environment. It also appears that specialty or organic minerals can improve rumen performance and apparent absorption in typical forage-based diets compared to sulfate sources. It is well established that trace nutrients such as iodine, biotin, and Zn can have beneficial effects on hoof health in cattle. The long-running theory has always been that these nutrients aid in immunity and keratinization of the tissues within the hoof. In addition to these effects, recent research from The Ohio State University and University of Illinois observed additional mechanisms that may improve hoof health, and these effects were influenced by the source of mineral fed. 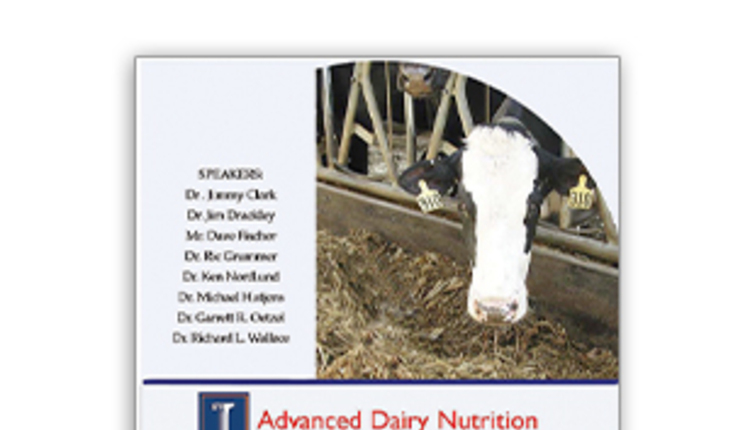 Researchers at The Ohio State University observed reduced relative abundance of Treponema bacteria in manure from lactating dairy cows fed Zn glycinate with Cu and Mn sulfates, compared to cows fed Cu, Zn, and Mn from only glycinate or sulfate sources. Treponema are a spiral-like bacteria species which targets soft tissues and have been associated with the occurrence of digital dermatitis in bovines. In theory, lessening the abundance of these bacteria in manure that is well trafficked by cow hooves on a daily basis should improve hoof health. However, whether or not less excretion means less hoof colonization by bacteria, or why the combination of mineral sources reduced excretion compared to only sulfates or glycinates, is not known. 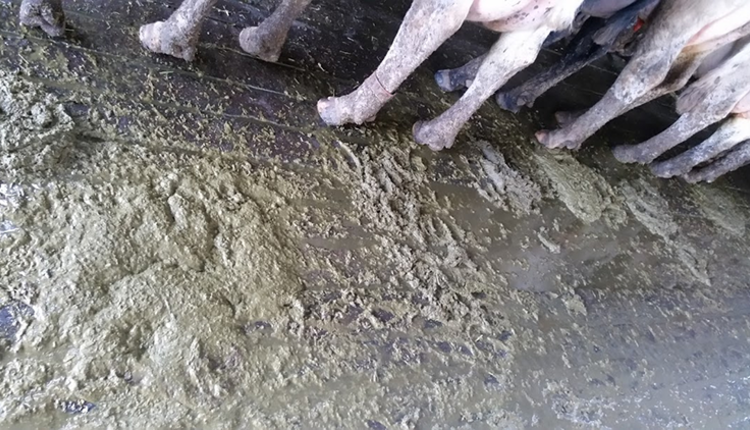 In a similar mineral study, Illinois researchers observed that lactating dairy cows fed Cu, Zn, and Mn from amino acid-complexed minerals and cobalt glucoheptonate had less incidence of heel erosion compared to those fed sulfate sources. The lower incidence of heel erosion for cows fed the organic mineral was attributed to molecular pathway changes associated with regeneration of corium tissues and differences in antioxidant and inflammatory pathways between treatments. Although the approach for evaluating the effects of mineral source on hoof health differed between these two studies, the results are similar. Feeding some or all organic mineral sources improved hoof health. The benefits could be due to lessened excretion of bacterial pathogens or improved biological functions within the hoof or a combination of the two. The days of formulating trace minerals based on the “holiday pie theory” should be a thing of the past. Overfeeding trace nutrients is costly to the producer and can have negative health and performance effects on the animal. Trace nutrients play a vital role in rumen function and digestion, and also play a crucial role in enhancing the odds that your bovine can physically walk to the feedbunk to ensure performance and profitability. Furthermore, the feeding of more stable specialty or organic minerals improves health and performance. But the real value in these more stable minerals are that lesser concentrations can be fed without negatively affecting health and performance. 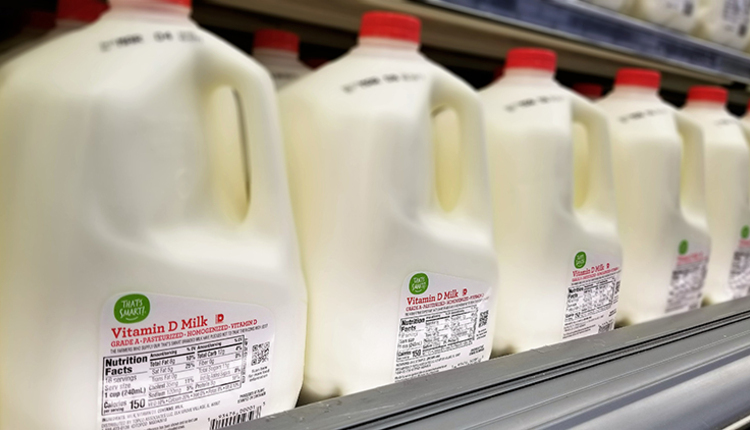 Does fat matter when choosing milk?